Overall, 2017 has been a success when it comes to training and racing. A year ago I put together a very ambitious plan for this year, and started tough training in November to be as prepared as I could. The training plan was set to nine sessions per week – three per discipline – with a volume of about 10-11 hours per week. With a full time job and kids, this was very ambitious and it required total and full focus to manage it and stick to the plan. There were many times during the year where I just wanted to quit and stop, but at the same time, when I have set my eyes on a goal it is not often that I don’t give it 110% to get there, especially if achieving the goal mainly depends on myself. I ended up with ten months of very consistent training, and it gave me the results I wanted. Very ambitious and broad goals for sure! 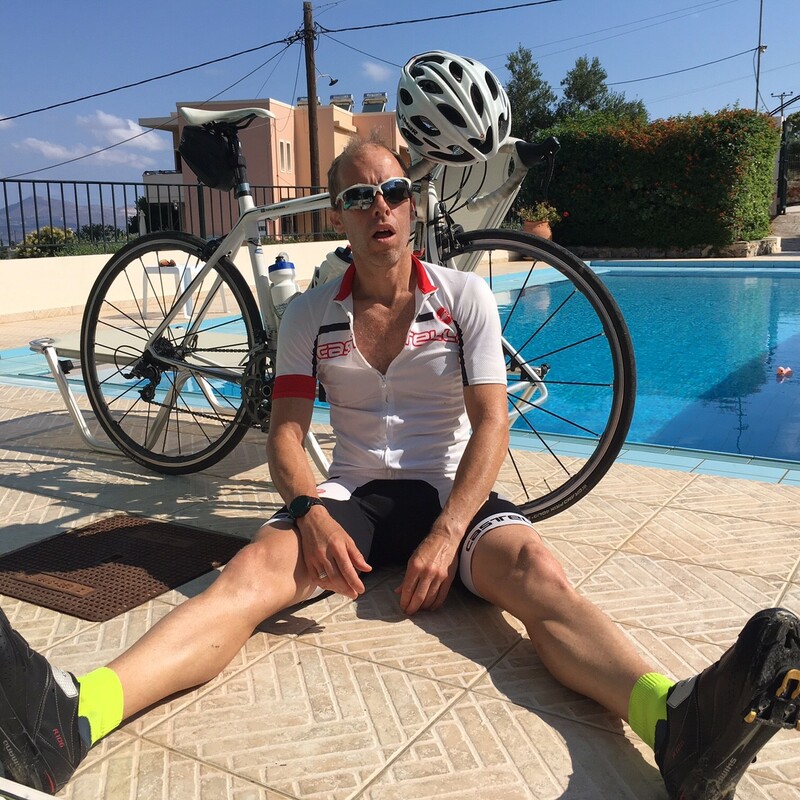 Training hard in Crete mid June. Beautiful, and full of mountains! Compare to last year, I managed to have a very consistent running training, maintaining three runs per week totaling about 40-50km. This included one long run, starting at around 15k in November and getting it up to a last run of 33km a few weeks before the marathon the first days of June. I reduced slightly the quantity of interval sessions and I believe this helped me to stay injury free up to the marathon. I felt really confident ahead of the race, which was the first race of the season. 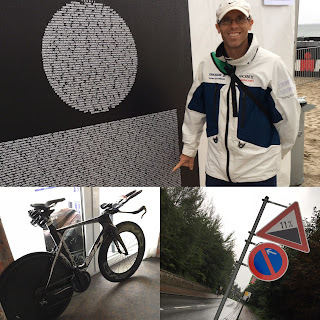 Race day gave us perfect conditions – overcast and around 15C, not much wind. The race itself was fairly straight forward, I kept a good pace slightly below my target and felt really strong up to around 25km. In 2015 I started feeling tired in my legs around 18km, so this was a good indication that I had indeed become stronger. 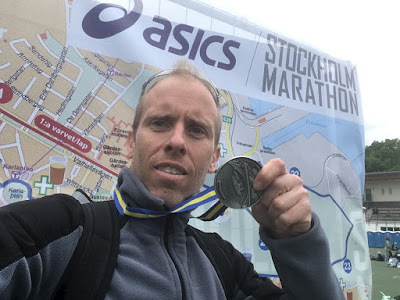 This year the race course was slightly different, having to run up at Slussen and over Söder, which in my view was tougher compared to the old course. This portion came up a second time at 30km, and now I really started to feel the burn in my quads, and pace dropped significantly. However I manager to keep on running just below 5km pace, fought myself through the last downhill at Odenplan and finished the race in a very good 3:12:43, well ahead of my goal. More than anything I felt that the recovery after the race went very fast, also a good indication of great running form compared to previous years. So check on the marathon goal! 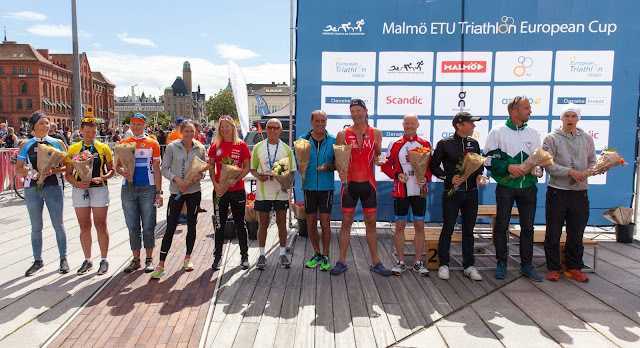 The Swedish Triathlon Cup included four races: Uppsala (Olympic), Borås (Sprint), Gävle (Olympic) and Malmö (Sprint). 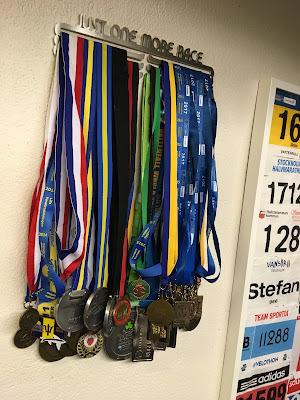 All four of these would be new to me, and as the races themselves were not the main goals, I decided to do them as hard training sessions, ie no tapering and no major adjustments in the overall training plan. Uppsala was first up, two weeks after the marathon. I was extremely nervous ahead of the race, worst ever. I think it was due to the fact that this was my first race where I felt I would race against other people, and not only myself. A very awkward feeling that I managed better during the rest of the season. 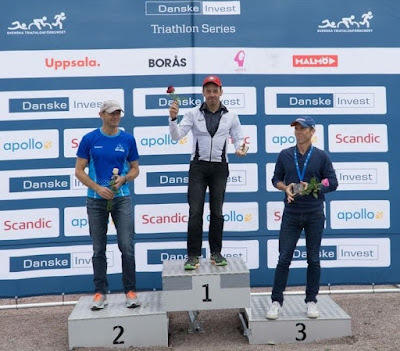 Uppsala was also Swedish Championship in Olympic Triathlon, so the field was a good one. Race dace was nice with sunshine and cool temperatures, and the course was a typical city course with multi-loop bike and run. 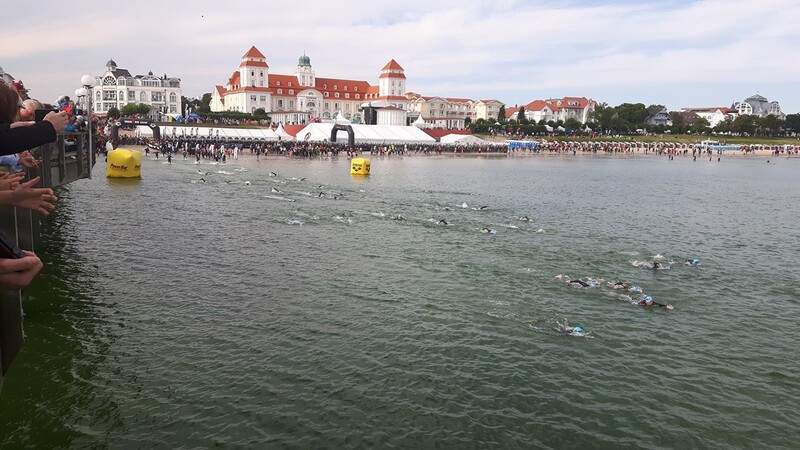 The water was very cold (14-15C), and I had a very bad swim, but bike went well and on the run I felt strong and took various positions and ended up in 3rd place overall in my AG – much better than expected! A real medal, how cool isn't that? Bronze, nice! In Gävle I ended up in 3rd place, and with that finish I was by now in 2nd in the Cup with just one race to go. 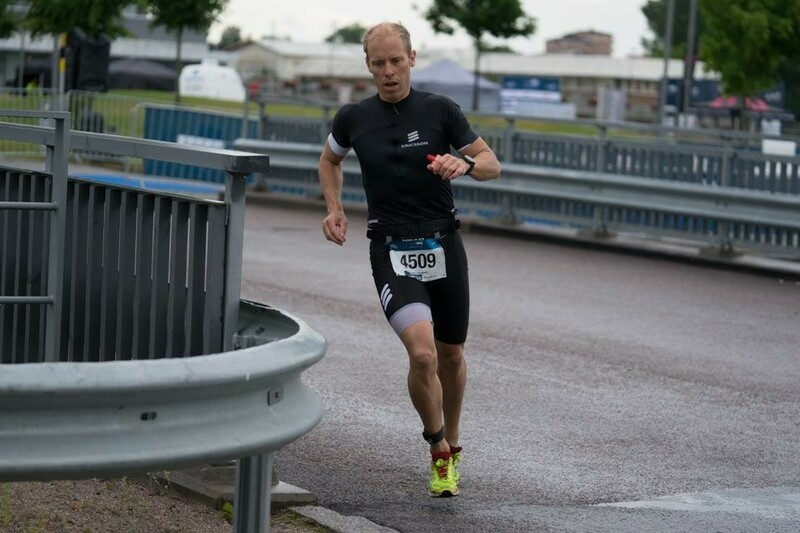 In Gävle I had a great run, managed to push the pace hard and keep it – feeling secure of my running form – and managed to keep the pace at 3:56 min/km throughout the race, securing my best ever run in a triathlon and ticking of another goal! Gävle has a very flat running course, and this off course was a major point in securing a fast run. 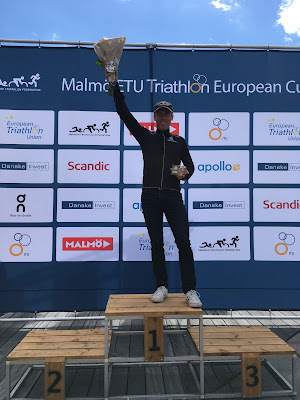 I was also lucky here in that the leader of the cup (who had won all three events up to now) was not planning to participate in the final race, so if I just managed to finish in Malmö, I would secure the cup. Great run in Gävle, under 4:00 min/km pace for the first time in a triathlon. Podium finish again. 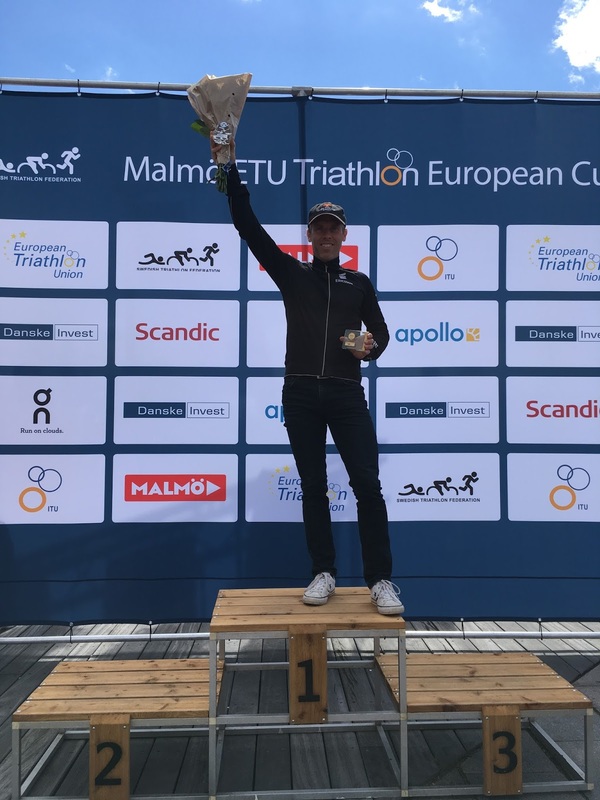 Lars Mattsson finished first in not only our AG, but overall as well. Impressive! For Malmö the major hesitation was my calves. 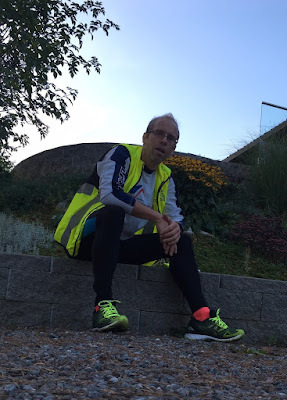 I had started to get some pain in my right calf, so I had rested from running for a little more than a week to see if the pain would disappear, but I had some doubts. 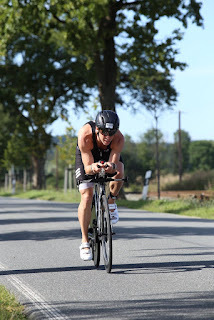 I did a good swim and pushed hard on the bike, and came in to T2 in 2nd place in my age group. At the start of the run I didn’t have the same pace as in Gävle two weeks earlier, but I started to pass some people anyway. After about 1.5km I passed the leader in my AG, so I came up to first position. 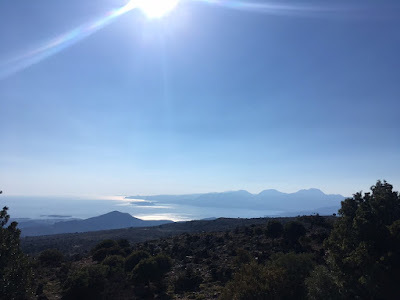 But at the same time I also felt that the numbness in my calf starting shifting in character, and after about 3km it turned to a much sharper pain in the lower calf. I knew I would still win the cup if I just walked to the finish, but at the same time I was in the lead… How important was it to win the competition itself? Would this affect my A-races coming up in a few weeks time??? I decided finally to keep on pushing and did indeed win the race and the cup. 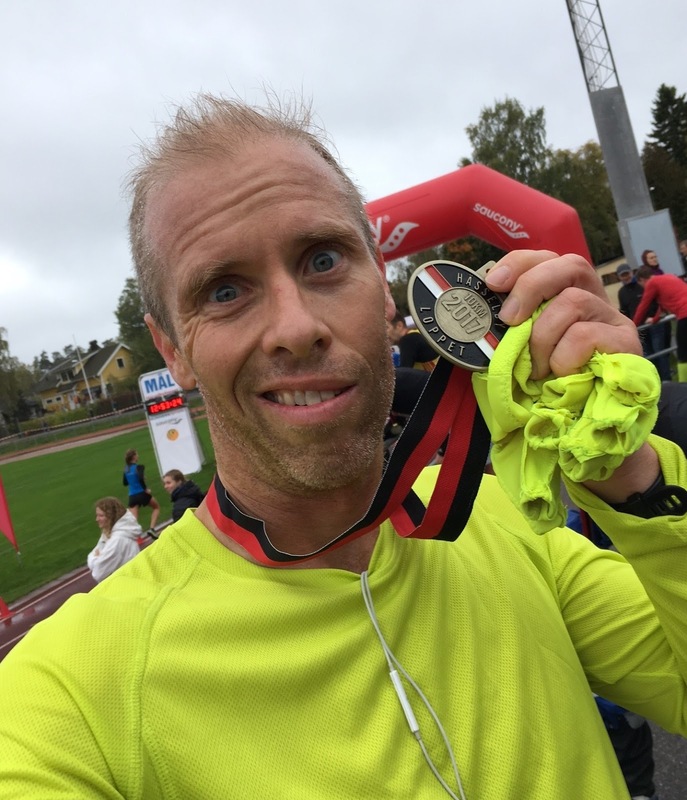 Downside was that I could barely walk afterwards... Luckily enough, after ten days of rest and some massage I was able to start running again, so the injury was not so serious after all. So check on winning the cup! 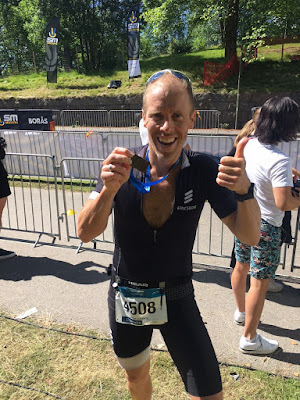 Add to that the joy to try out four new venues for triathlons, getting to travel around my country deiscovering new places and also make some new friends in the triathlon community - great! First place in my AG for the race! Yeah! 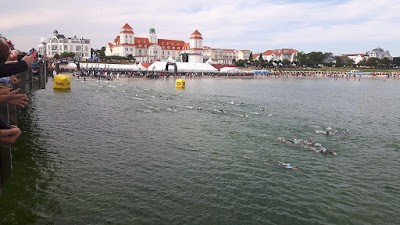 The HIM distance races were the main goals of this year, with Vansbro being Swedish Championship and Ruegen the qualifier for next years IM 70.3 WC in South Africa. I raced all three together with my older brother Peter, and this was a great way to have companionship at the race itself, as well as the dicussions before and after about all details. 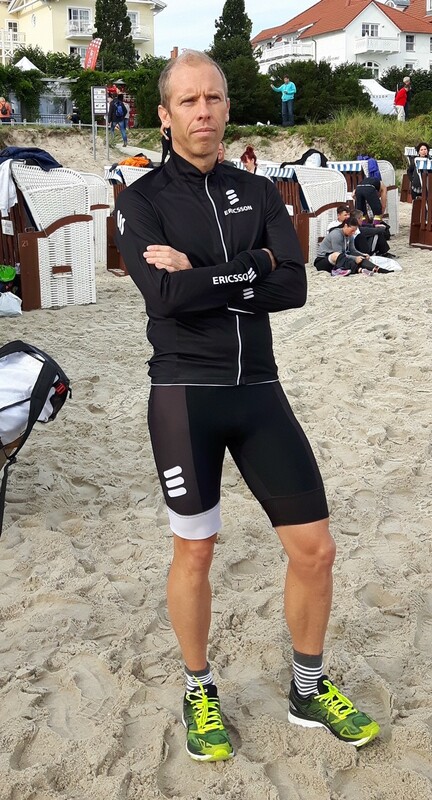 Vansbro in the end was a disappointment, as I in the end only ended up in 14th place mainly due to a very poor running performance, although that was not the full story. Weather turned out really nice – sunny and clear skies, and temperatures around 22-23C. Me and my bro stayed at our cousin’s place the night before, so got some nice sleep before heading up to Vansbro race morning. Water temperature this year was OK, around 17C, and the swim went good, although it was long as first the bouy had drifted 100m during the night in the wind, so the swim ended up at 2100m. Now the goal with the bike portion was to average around 37-38km/hr, as the course is very flat and fast when there is no wind. I did good in the first of the two laps, but during the 2nd lap I found myself fairly lonely with nobody to hang on to. I started to get tired and lost some motivation overall. On top of this I did not drink as much as I needed to, especially in the fairly warm temperature. 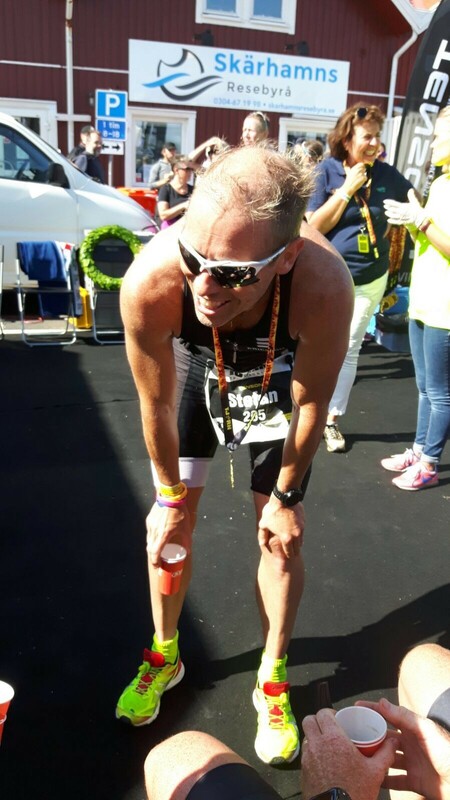 End result was that as I came in to T2, I felt really tired, and after about 3km of running I knew it would be a struggle on the run. I managed to keep on moving, but pace was far far of from where I wanted, and in the end I finished in 14th place in my AG. Afterwards I felt really nauseous, a clear sign of dehydration and not enough energy intake. Happily though my brother won his AG (50-54), so we got home with one gold medal! Happy finishers in Vansbro. 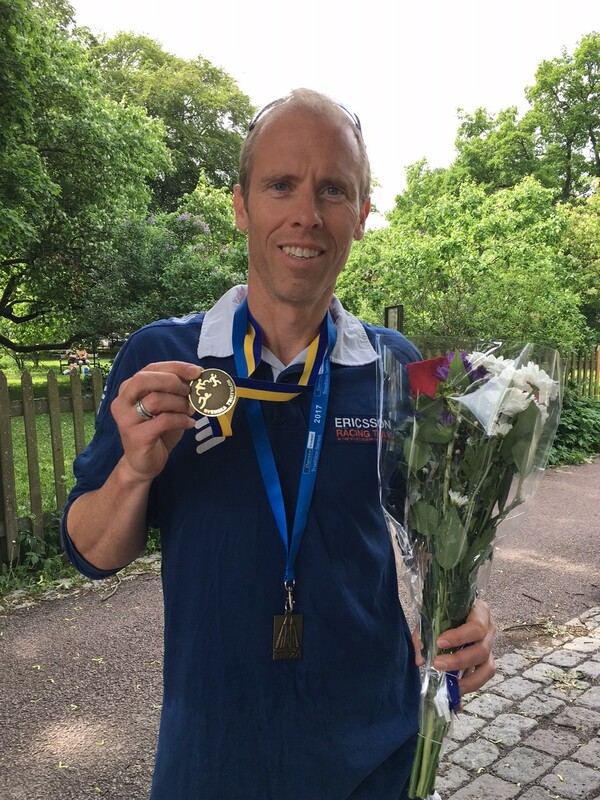 Peter took the swedish champ title in his AG. Just as disappointed I was over Vansbro, just as happy I was after Tjörn, which was the second half distance race of the year and a check point two weeks ahead of Ruegen. 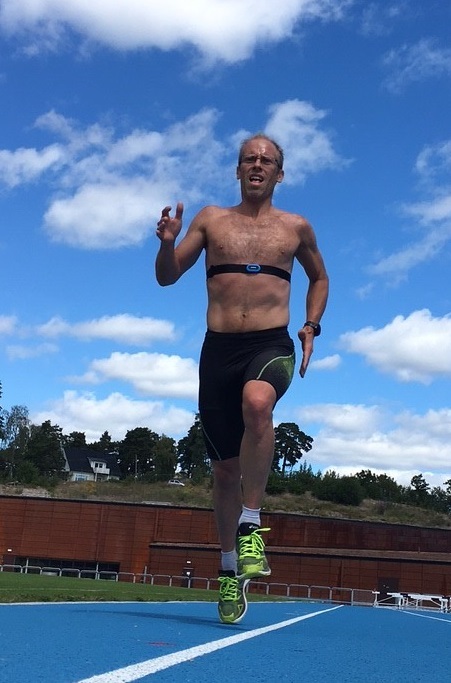 I had picked up the training volume again in July after Vansbro with some really good bike sessions, and after resting almost two weeks after Malmö I felt that running was possible (at one point I considered to skip Tjörn). Just as last year, weather was fantastic with sunny skies, and off course with plenty of wind. We went down the full two families, and I was relaxed the days before and ahead of the start. I had managed to learn how to keep control of my nerves, and also not be too hyped up ahead of the swim - great improvement. 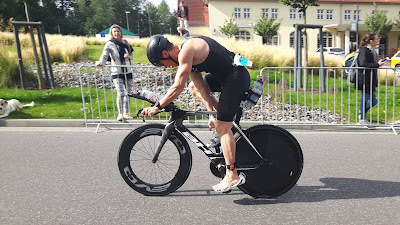 Swim went really good despite choppy seas on the last leg, and on the bike I had learned my lesson from Vansbro – I managed to stay with some good pace lines to keep up the speed, and I had also changed my energy intake strategy. For the bike leg I had changed to Maurten drink, which meant that I could get all my energy by drinking 1.5l of the drink, with no need of gels or bars. This also had the additional effect that I forced myself to drink all of it, securing that I got enough liquid to stay hydrated. In the end I had a great bike leg, and most of all felt really fresh exiting T2, despite pushing it hard. The run felt awesome, it was like floating on clouds, despite pushing the pace down towards 4:20/km. I noticed that I was gaining on Peter, and even though I couldn’t catch up with him I did both run and bike faster than him, the first time in a race! Peter ended up in 2nd place in his AG, where I took 4th place. I was so happy over my overall performance that 4th place felt great. I made the race 15 minutes faster compared to last year, in very similar conditions - what an improvement! I don't think I've ever been this happy after a triathlon! So stoked over my performance! 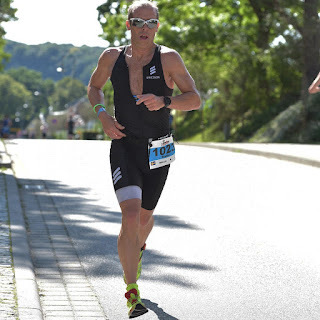 Last major race for the season was coming up now – IM 70.3 Ruegen. 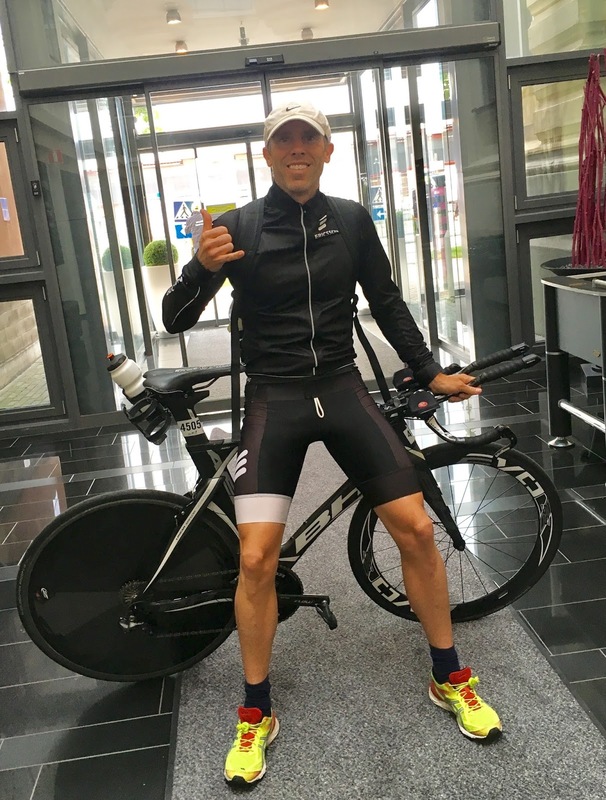 The plan here was to qualify to the IM 70.3 World Championship 2018 in South Africa. My AG had five slots, and we had figured that a place around 10ish should give a slot, and that a time around 4:45 would be enough for that. This race was again done together with Peter, and it became a long weekend with travel down from Stockholm by train, ferry over to Sassnitz and then the race weekend in beautiful Ruegen. A detailed report can be read here (in Swedish). 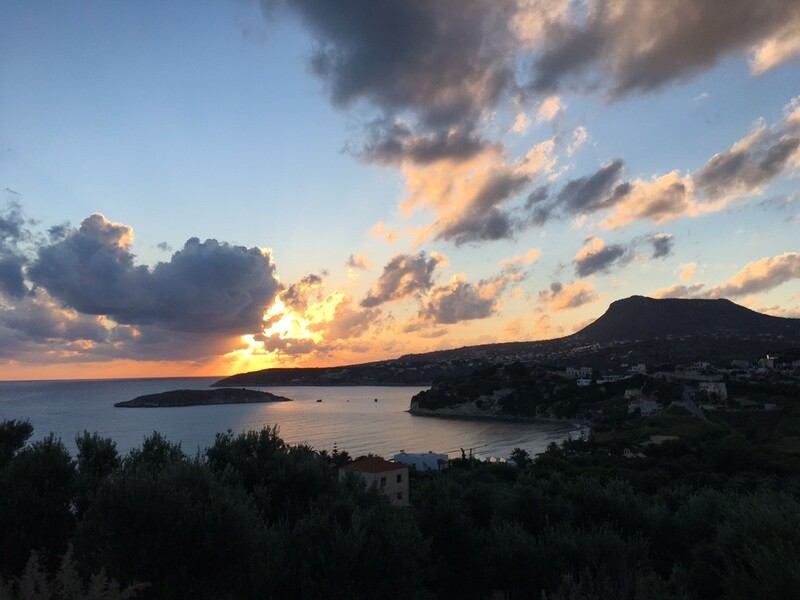 Again we were blessed with perfect racing conditions – after three days of wind/cloud and rain, we got sunny skies and cool temperatures and very little wind. And the course was exremely beautiful with a fantastic bike course. I managed my best swim of the year with a 31 minutes swim time (so no, I didn’t manage the goal of a 30min swim this year…), a fantastic bike ride well paced/fueled/energized with an average of 37.6 km/hr, and then a good run. Not as fast as Tjörn, but close - the course included four brutal shorter hills which took off some of the pace. Overall, I would say that my performance here was the best of the year. That said, competition was much tougher compared to last year. My 4:37 hrs time only got me to 14th place, so my spot for the IM 70.3 WC was by no way a given. After a few nerve racking minutes in the slot ceremony, I could finally claim the last slot in my AG after that the guys in place 10-13 didn’t take up the challenge. Overall I was again very happy with my performance and execution. 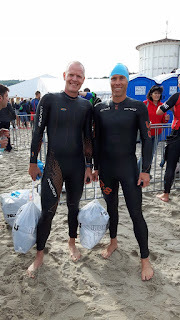 Very pleased with my bike strength (again I was slightly faster than Peter), a very solid run, and the swim was also very stable and with a very good pace. So happy that all the hard training had given results and that I was able to execute on race days. 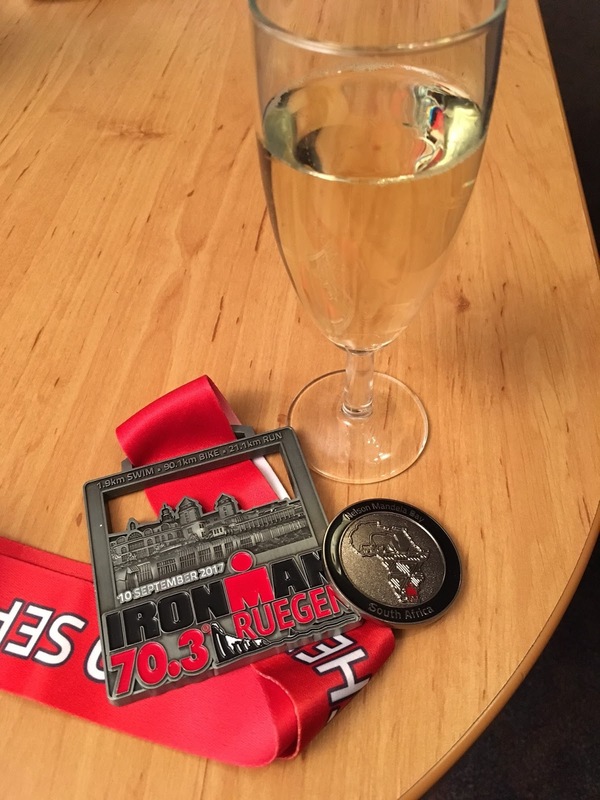 End result: medal giving entry to the 2018 IM 70.3 World Championship in South Africa! Peter picked up his slot as well, so it will be more races together in 2018! Again, overall I felt that 2017 was a fantastic year, and I managed to reach most of my goals, and all of the important ones. Plans for 2018 are starting to take form now. I will reduce the amount of races compared to this year as I felt that it was stressful at times with such a full agenda, mainly from the triathlon cup races. 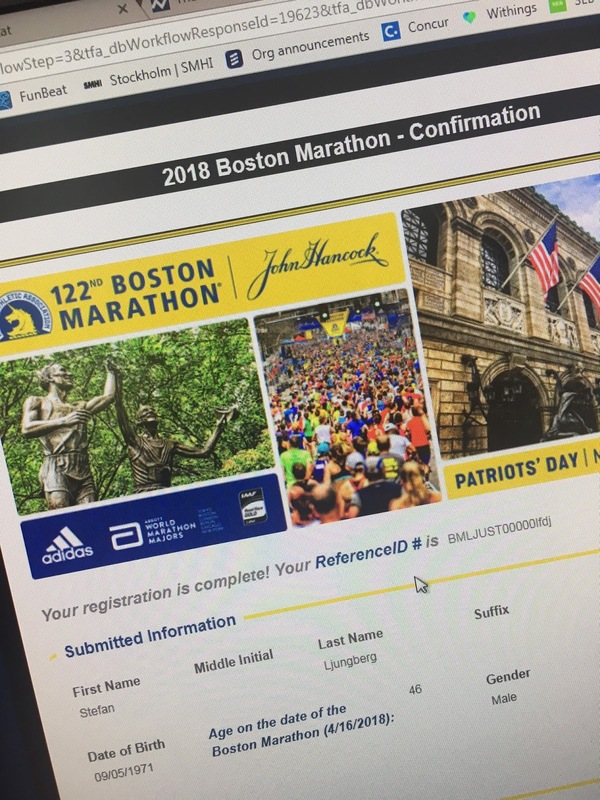 Race season will start with Boston Marathon on April 16th, where I with my great time from Stockholm Marathon managed to qualify. I’ve signed up as well for the IM 70.3 WC in South Africa (September), and will give another shot at running a half marathon under 1:30hrs at the Stockholm Half Marathon mid September. 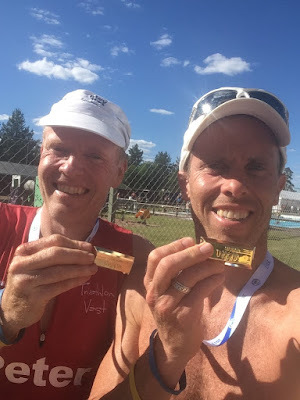 2018 is also the inaugural race of the Vansbro 10km swim. This will be more of a fun thing as my swimming is not on a very high level. 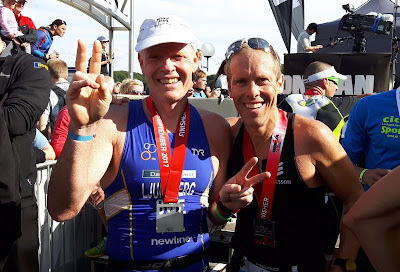 I am looking at filling up the calendar with two more IM 70.3 races, one in May (Aix en Provence) as I tend to be in good shape early in the season and I want to try a hilly bike course, and then maybe IM 70.3 Jönköping to qualify for the 2019 IM 70.3 WC in Nice. Signed up for the Boston Marathon 2018! An alternative race is the ITU Long Distance World Championship, held mid June in Denmark. Not only is the race close to home, but it could also be a check to see how I can handle the longer distances. I don’t feel I am ready yet for the full IM distance, I will only sign up the day I feel confident I can do a sub-10 performance. This would require a 1:10 swim (probably doable), a 5:00 bike (doable) and then a 3:40 run (doubtful…). I’m starting to falter on my categorical “never” when it comes to full distance IM. Maybe 2019? Follow me on Instagram (@stefan.ljungberg) to see my progress towards 2018!